Nature has its own league of woodcarvers who work unseen, hidden away under the bark of the trees all around us. They chomp away tirelessly, excavating galleries through the wet wood to finally emerge, transformed from larvae to adult beetles. This New England grown Norway Maple weed pot* is a real showcase of some of their best efforts. And, it's spalted, embellished by the fine black lines caused by a fungal invasion. Probably no artist could reproduce this fine work, resembling India ink drawings. This handsome weed pot stands 11-1/2 inches high, with a maximun diameter of 3-3/4 inches. After final sanding, the vase was finished with an oil/varnish blend, then buffed and polished to a very smooth semi-gloss. Item # SWM87, Spalted Wormy Maple Wood Vase. 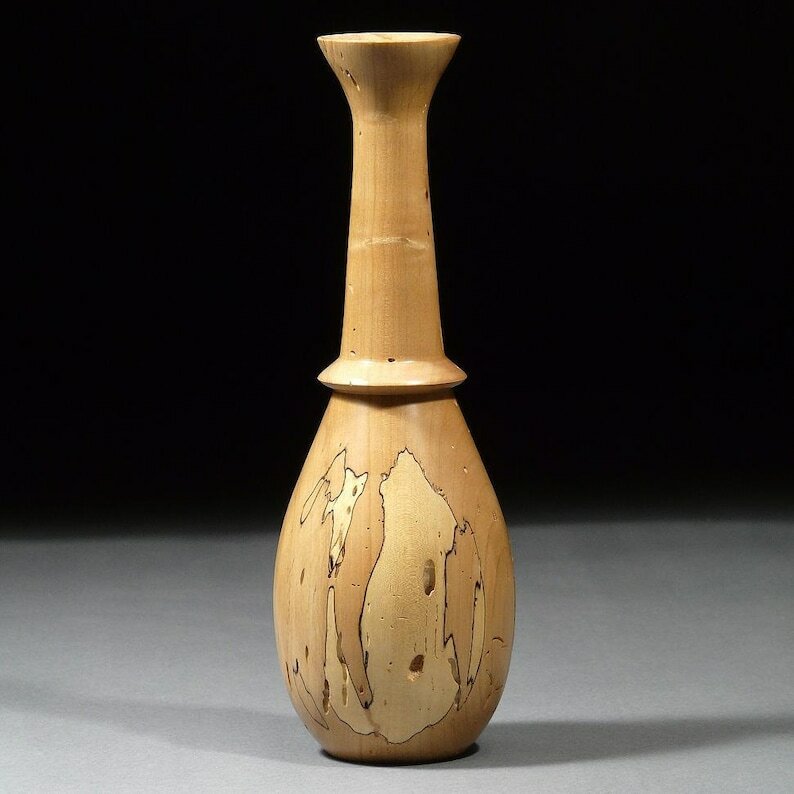 * A weed pot, or twig vase, is a kind of vase made to hold dried weeds, flowers, grasses, seed heads, etc, that you can find in any field, forest edge, or roadside, particularly in the fall. It is not to be filled with water.